Ensure your working environment is safe with our Electrical Inspection and Testing. A Periodic Inspection is an inspection on the condition of an existing electrical installation, to identify any deficiencies against the national safety standard for electrical installations. A schedule of circuits will also be provided, which is invaluable for a property. Why and when is a periodic inspection needed? Every electrical installation deteriorates with age and use. It is important for the person responsible for the maintenance of the installation to be sure that the safety of users is not put at risk, and that the installation continues to be in a safe and serviceable condition. 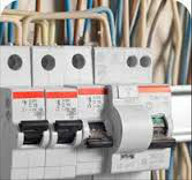 Our electricians will ensure your installation is tested and inspected to BS 7671 IEE Wiring regulations. Hyden UK’s electricians are certified with an approved regulatory body. Test certificates will be issued on completion of each project. If you decide you would like to combine your electrical inspection with any other of our services, such as emergency light testing, it can be a great way to save money and keeps disruption and down time to a minimum.